Collaboration and co-funding between foundations has seen strong and consistent development. However, less has been done to explore and document the opportunities that collaboration across sectors between foundations, public and private sector funders may provide. 'More Than Money' provides a valuable insight into what it means for funders from different sectors to work collaboratively. Examples include the Pears Foundation working with the Department for Children, Schools and Families to turn a school linking project from a small pilot to a national project, or the development of the Evaluation Support Scotland project which began through informal discussions between a small group of funders from the statutory and voluntary sector, and continued to develop through funding from the Scottish Executive. 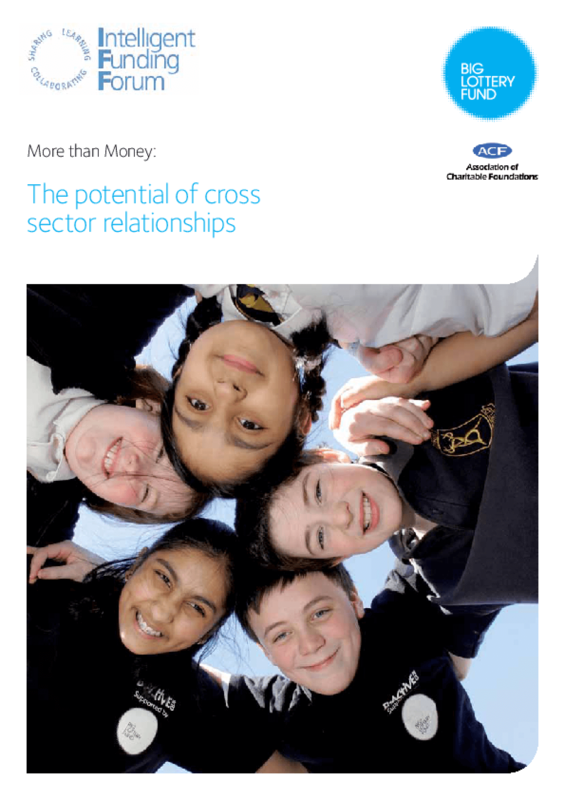 We hope that this publication will help inform and encourage funders from all sectors as they continue to explore the exciting opportunities that cross sector collaboration can offer. Copyright 2009 Big Lottery Fund.